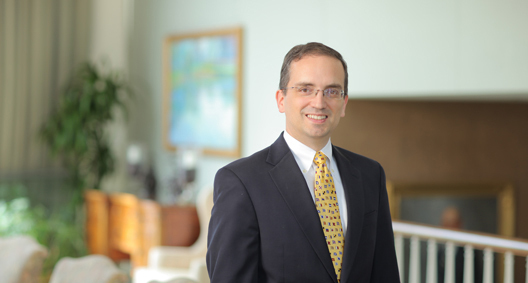 Darin Bartram focuses his practice in the areas of constitutional litigation and appellate work, with particular experience in environmental law. Darin brings a strategic approach to his practice and helps his clients put their legal questions in context with their overall business strategies to develop a comprehensive resolution. Provides advice to an American electric utility holding company regarding state, regional and proposed federal climate change and energy legislation. Counsels the client on reporting requirements, carbon sequestration and related liability issues, offset projects, emissions trading-related transactions and the regulation of greenhouse gases under the Clean Air Act independent of federal climate change legislation. Has also counseled the client on defense of actions brought by the federal government alleging that the client has undertaken major modifications to its facilities without first having followed the requirements of the federal "new source review" permitting program. Member of a team that represented 26 states challenging the constitutionality of Medicare revisions under the Patient Protection and Affordable Care Act and argued that an "individual mandate" was beyond the powers granted to Congress under the Commerce Clause and the Necessary and Proper Clause. The U.S. District Court for the Northern District of Florida ruled in favor of the states at the case outset. The government appealed the case to the Eleventh Circuit, where the original decision was affirmed. Member of a team that successfully defended several Bivens actions brought against former Secretary of Defense Donald H. Rumsfeld through arguments before the district courts and the Fourth and Seventh Circuit Courts of Appeals. Member of a team that represented the Republic of Croatia before the International Criminal Tribunal for the former Yugoslavia and the International Court of Justice for a number of years on a wide range of issues involving international humanitarian law and the laws of war. Involved in a representation concerning actions brought against a large federal contractor under federal trafficking law and the Alien Tort Claims Act. Has experience with the Oil Pollution Act of 1990, having assisted in the representation of an international group of vessel owners in challenging regulations promulgated by the state of Washington on the basis that those local regulations were preempted by federal and international laws. Litigation ultimately led to a unanimous decision by the Supreme Court upholding the vessel owners' claims.